Once connection is complete baud rate can be any. 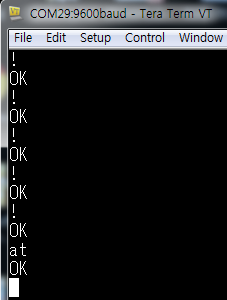 From terminal check the box and press OK From there enter the AT and enter an integer. 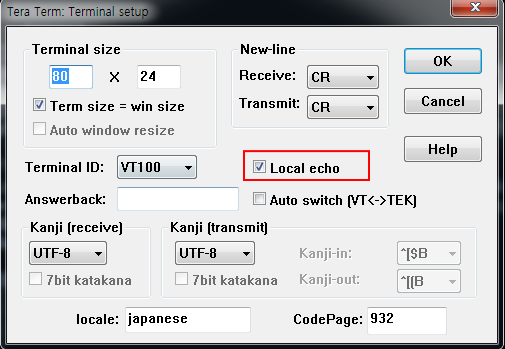 The OK button becomes available and will allow check of the BT-210. 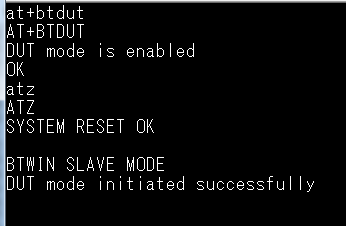 Once setup is complete when the BT-210 is connected to the CM-900 pick either master or slave mode The picture show master mode. 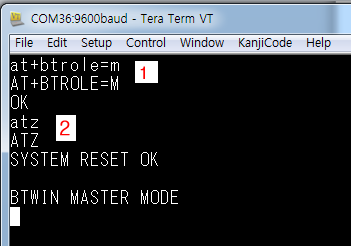 Enter ATZ press the Enter key and the BT-210 resets.if settings have changed the mode will change upon reset. 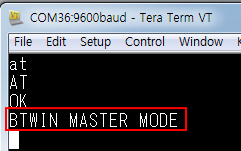 Use this command to switch between master and slave modes for the BT-210. Afterwards enter ATZ to reset. This is possible only in master mode. Enter AT+BTINQ followed by the Enter key the device class comes as 0x1F00(SPP). Once devices have been found they can be connected via its 12-digit hex MAC address. 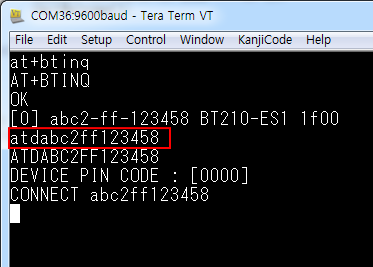 for example a device with MAC address of abc2-ff-123458 enter ATDabc2ff123458 (ignore the – sign). When asked for pin code enter 0000. To change pin code follow the procedure below. then enter AT+BTKEY (ignore the = sign). Under this mode the device is a “test” device and not suited for applications.